Situated in the tiny hamlet of Livadia on the westernmost tip of Crete, Ourania is a complex of traditional stone luxury villas set on hills to enhance the breathtaking views of the unspoilt Crete landscape and to allow guests to revel in the spectacular sunsets and to hear the lapping of the sea 24 hours a day. 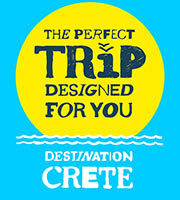 The sea is just a breath away and the most famous beach in all of Crete is a mere 10 minute drive from the Villas. There is the added benefit of a restaurant and bar on the complex. Situated in the tiny hamlet of Livadia on the westernmost tip of Crete, Ourania is a complex of traditional stone luxury villas set on hills to enhance the breathtaking views of the unspoilt Crete landscape and to allow guests to revel in the spectacular sunsets and to hear the lapping of the sea 24 hours a day.The sea is just a breath away and the most famous beach in all of Crete is a mere 10 minute drive from the Villas. There is the added benefit of a restaurant and bar on the complex.